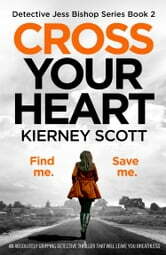 loved it...red both books ,loved Jess cparacter.A real page turner.... could not put the book down.Can't wait for the next one!! This is a great psychological thriller that keeps you guessing. We're back with the tormented FBI agent, Jessica, along with her demons. I'd strongly recommend that you read 'Forget me not', the first book. However, this stands alone as an excellent thriller, should you wish. You can always go back to the first book! She's as frustrating as in the first book and there are some obvious clues and situations that it's difficult to believe she misses / ignores, but, despite that, it's a really good read. Jess is hunting someone who is taking children and it builds the suspense throughout, without any need for gruesome imagery, a real talent. I loved it and highly recommend. Many thanks to net galley, bookoutre and Kierney Scott for the ARC. Having read and enjoyed the first Jessica Bishop book I purchased the second one thinking it would be just as good! It wasn't. I felt that this one spent too much time focusing on Jessica's mental state and pain which were repeated over and over throughout. Instead of establishing those elements once as a baseline and then proceeding with the story (which I thought was to be an FBI procedural) that is the story. So, not what I was expecting. But if you're looking for emotional drama, tears, denial, relationship issues and more drama... this book is for you! 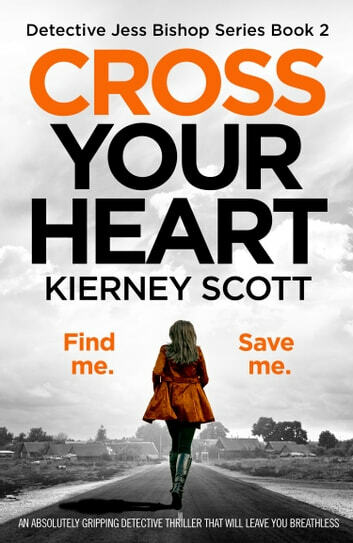 Cross Your Heart is an amazingly written thriller. I loved the first book starring Special Agent Bishop and my expectations fo Cross My Heart where high. And, what can I say, Kierney Scott delivered a brilliant story with characters flawed and easy to identify with. The plot is fast paced and tense throughout the book. Nothing gave away who the killer might be and I kept guessing ‘til the end. Highly recommended if you like books that grab hold of you and get under your skin. Heart stopping book, you really have to keep reading. It has everything a thriller needs to keep you up way past bedtime. It also makes you wonder if we can ever fix the world .